Want a new printer for couponing and home use? 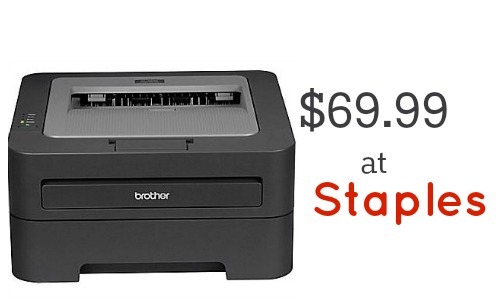 Starting 3/22, Staples will have the Brother HL 2240 printer for $69.99 (reg. $116.99)! This laser monochrome printer is perfect for couponing and I’ve used them for years. The Brother Printer is a black & white laser printer. It can print 500-700 sheets with the toner it comes with and then you can replace the toner with a high yield cartridge for around $20. The replacement will print 1700-2000 sheets! For the cost of one inkjet replacement you have a new awesome printer!! Seriously guys, I have 2 of these and haven’t replaced the toner in either of them in the past year. 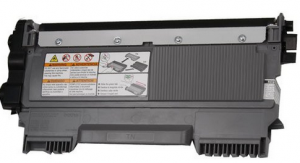 If that’s still not enough pages for you, here’s a way to extend your laser toner cartridge life. Now that so many readers have this printer (it’s that good), I often get asked where to buy replacement toner. If you want the name-brand stuff, you are going to spend $50 or more. I have always bought the off-brand options available on sites like Amazon. I have been very pleased and they work great with my printer. That will print 2,600 pages. Get your paper for FREE and you can print coupons for $.004 each after the initial invest in the printer. Note: Be sure to make sure you are buying the right cartridge for you printer. My printer has sticker on the front, but you can also look it up on Brother’s website.